The MISTOTERMO water heaters use 2 different heat sources to take the water to the required temperature. 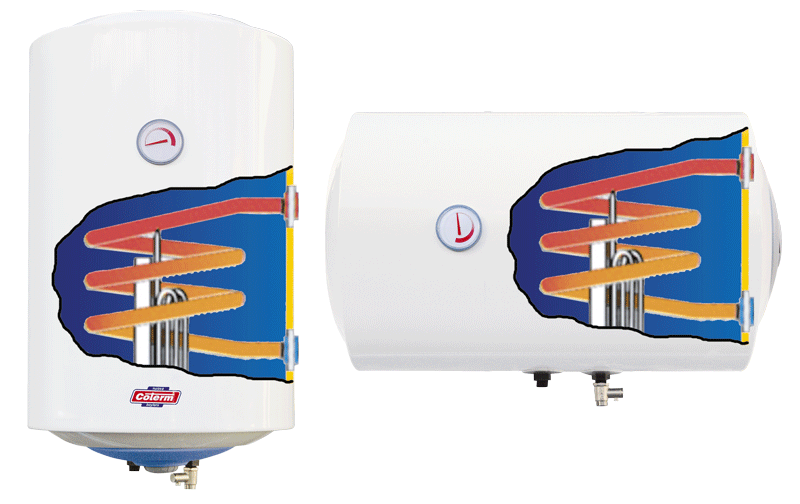 In addition to being fitted with a resistor (common to all models), these heaters also allow the heat produced by the hot water flowing inside a porcelain enamel steel heat exchanger to be recirculated to the external heating system. This system may be the central heating system that takes the hot water to the radiators or an alternative and environmentally friendly heating system, such as a solar panel system. The components of the heating unit are all CE certified. Fill in the form below to be e-mailed TEV-TEO SERIES ELECTRIC WATER HEATERS data sheet. Thank you.